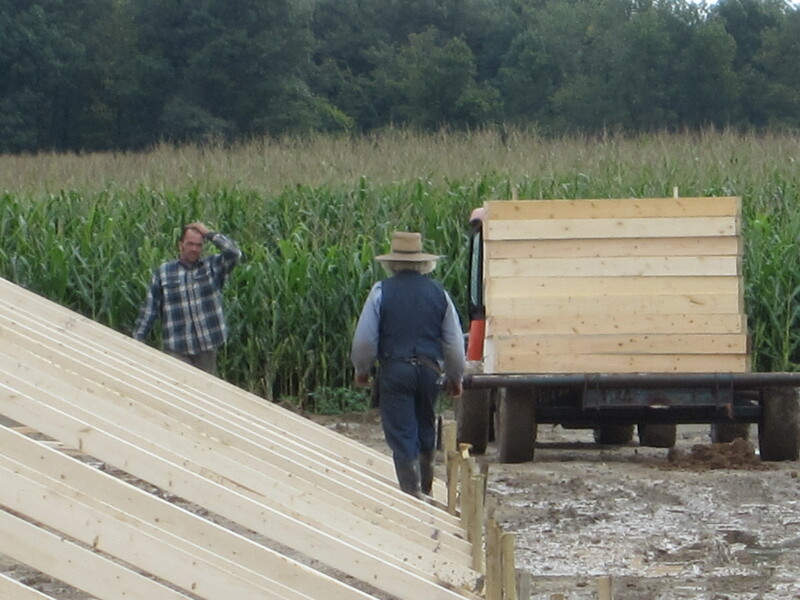 Loading the pre-built walls so they could be moved closer to the site of the new breeding facility. 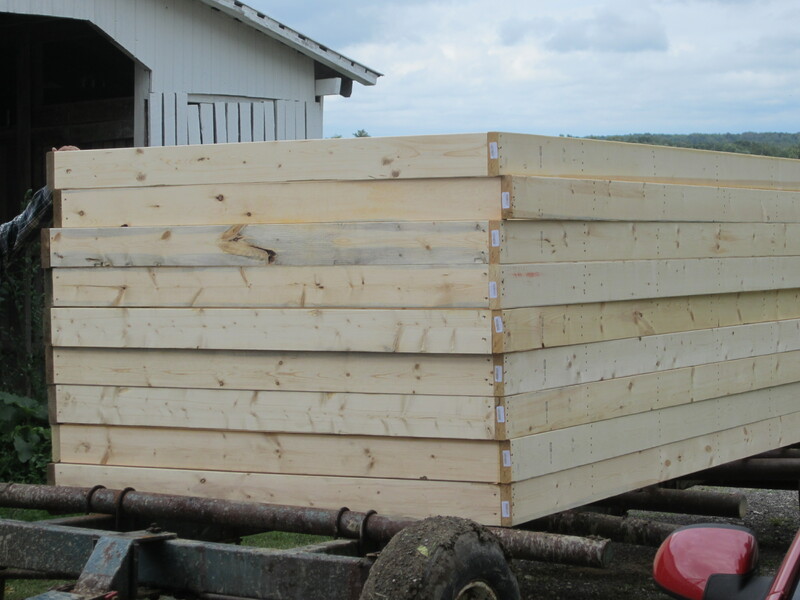 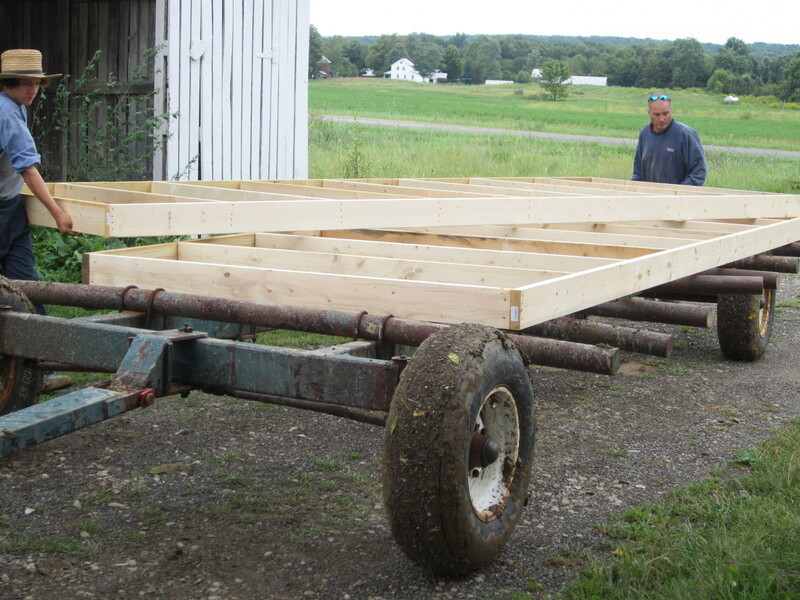 A stack of pre-built wall frames ready to be put in place. 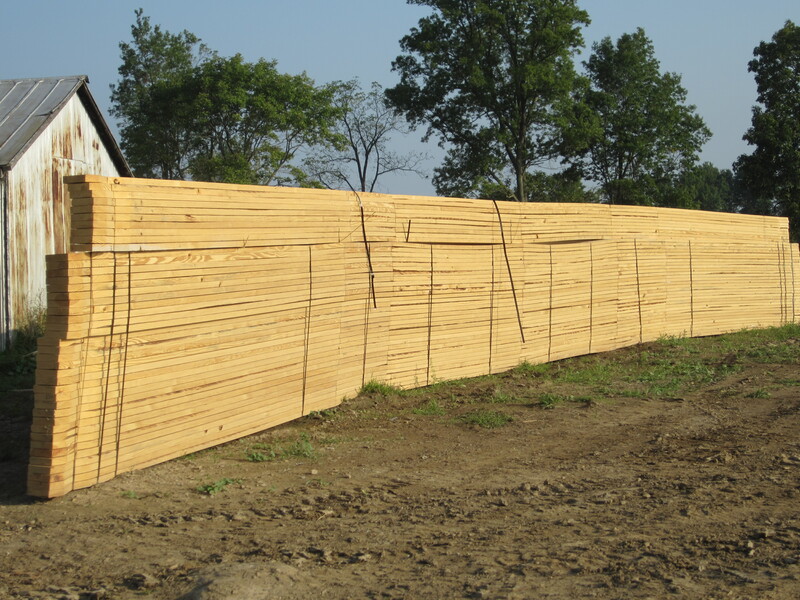 Walls are ready to be installed! 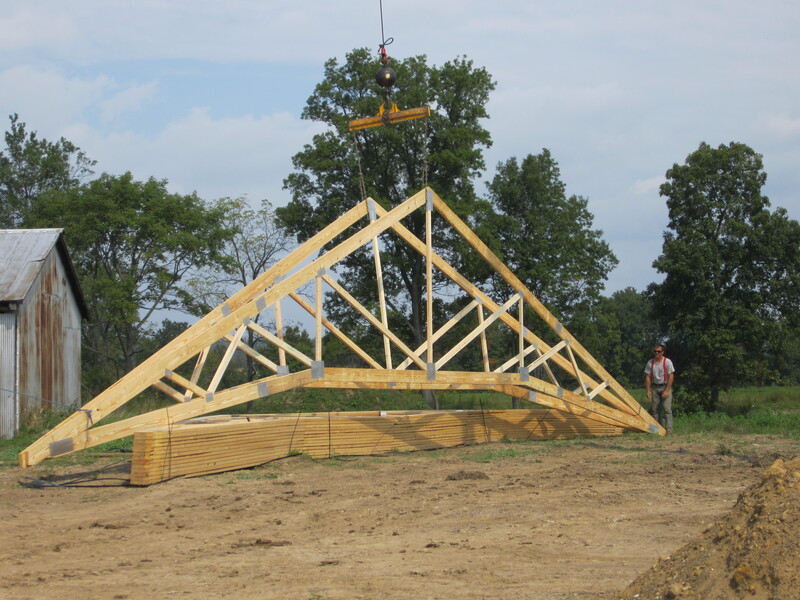 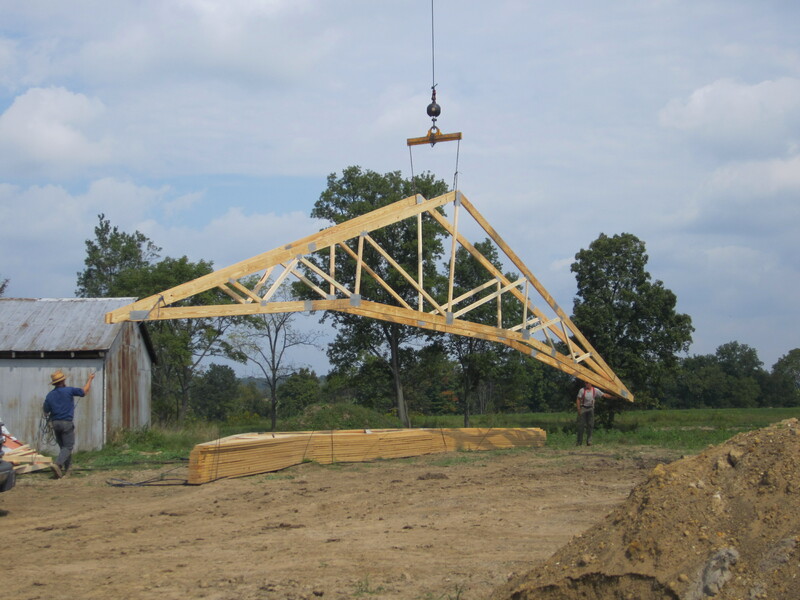 Here are the trusses stacked up waiting to be hoisted into the air. 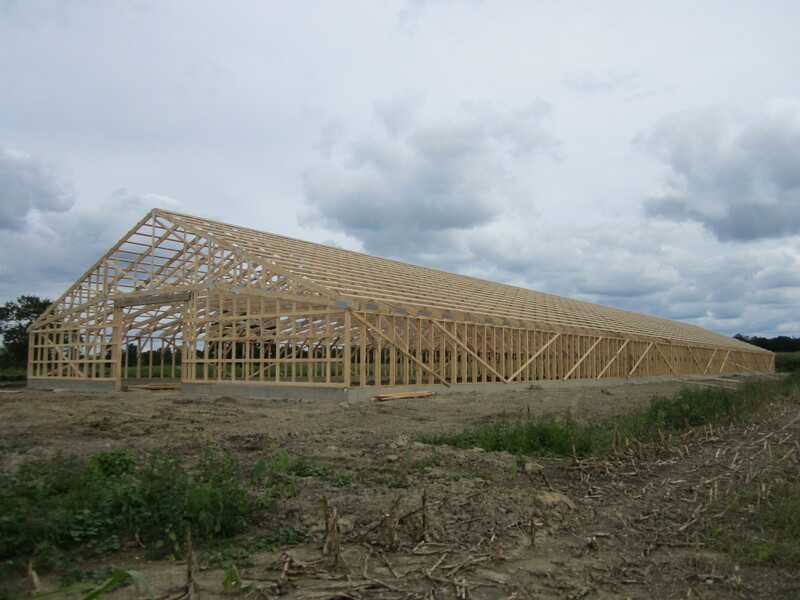 Skeleton of our new breeding facility!